We have finished migration to the new TYPO3 and new PHP version and a new database. 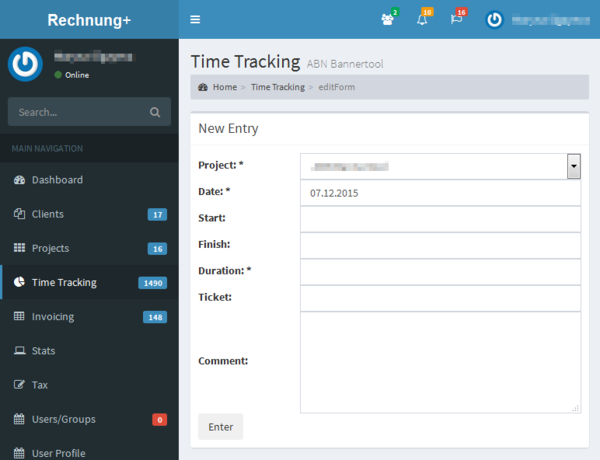 Together with this change the new UI of Rechnung+ is live. There is no way to access the old Rechnung+ anymore. Rechnung+ is now several times faster, especially on pages which show a lot of different projects. This number "0.125" on the screenshot is the server time in seconds (1/8th of a second) it took to generate the page. Sometimes, it was reaching 10 seconds in the past. 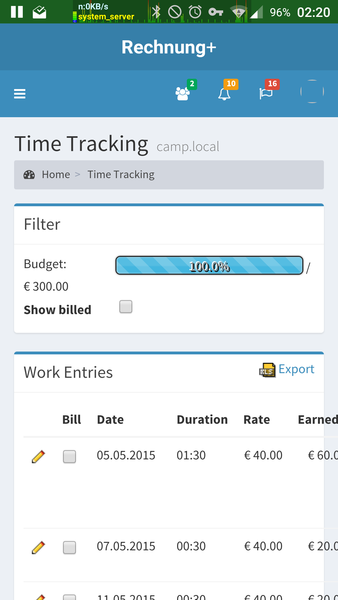 Printing invoices is now possible in Chrome browser (Firefox has been always working). Just for your information.